The cinnamon rolls are incredibly easy to make, but I find them much tastier and more filling than the standard refrigerated ones. 1. Preheat oven according to biscuit package directions. In a muffin pan, add one thin slice of butter to each section. Sprinkle cinnamon over butter slices. 2. Open biscuit dough and cut each biscuit into fourths. Roll each fourth into small balls. Add three biscuit balls to each section in the muffin pan. 3. 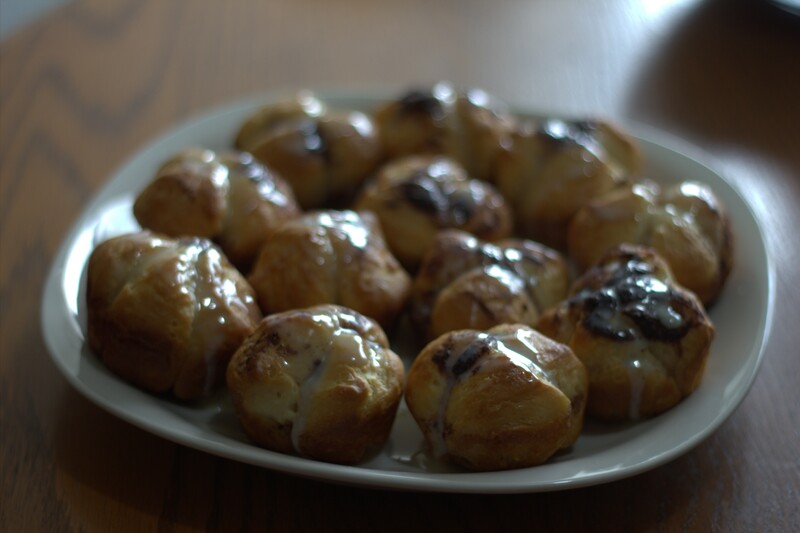 Top dough balls with one thin slice of butter and sprinkle with cinnamon. 4. Bake for 11-13 minutes or until golden brown. Drizzle with sweetened condensed milk. Serve warm.